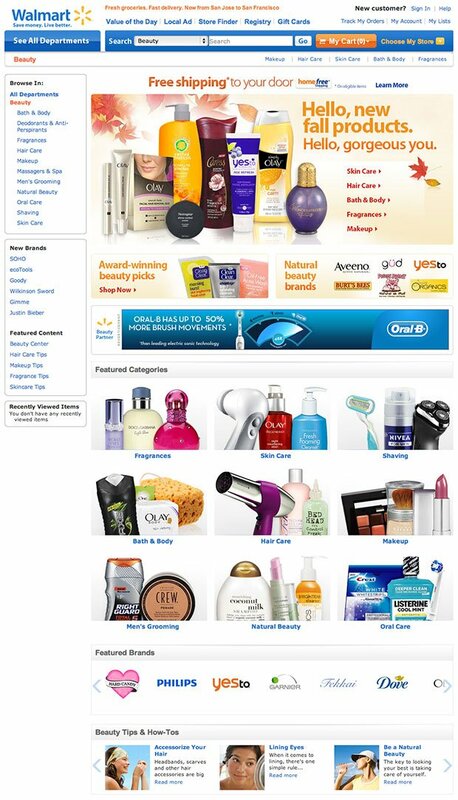 I redesigned the look and feel of the Beauty department landing page. 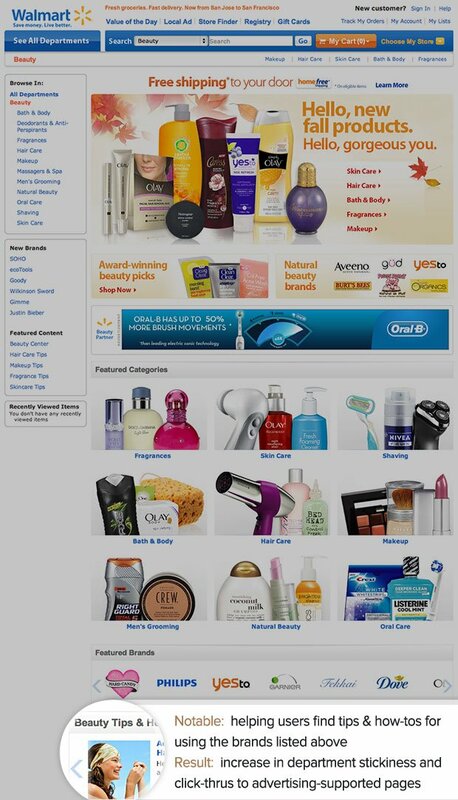 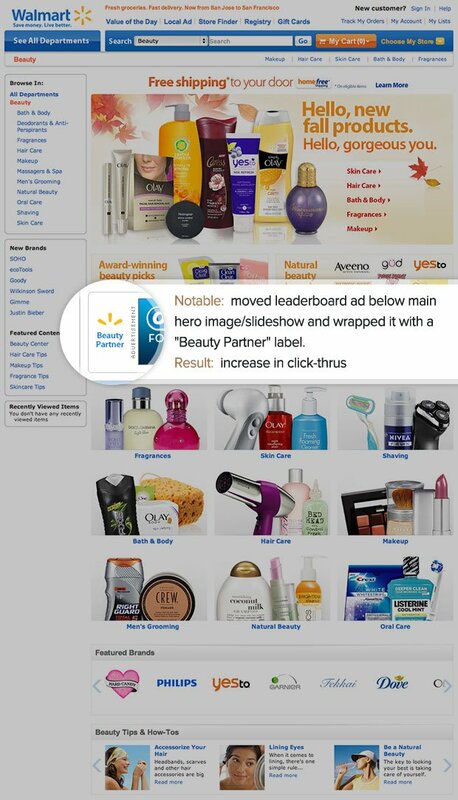 Keeping with Walmart.com’s online standards, we took the existing department home page and removed the right rail, increased the size of the hero image/slideshow, added brand awareness and increase ad value by moving the leaderboard to an inclusive and prominent position. Creative direction by Sean Flanagan, art direction by Danny Baker.